Enjoy the best inspirational, motivational, positive, funny and famous quotes by Ana Martin. Use words and picture quotations to push forward and inspire you keep going in life! 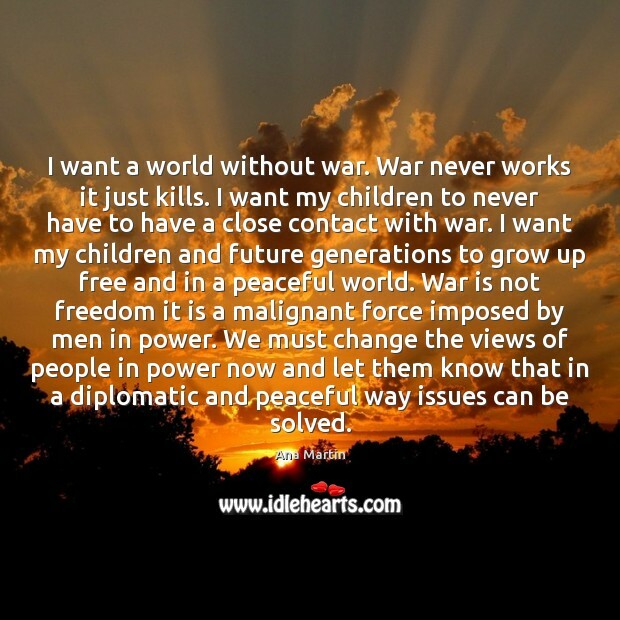 I want a world without war. War never works it just kills. I want my children to never have to have a close contact with war. I want my children and future generations to grow up free and in a peaceful world. War is not freedom it is a malignant force imposed by men in power. We must change the views of people in power now and let them know that in a diplomatic and peaceful way issues can be solved.